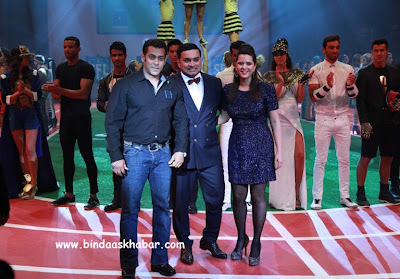 Splash the UAE based high street retailer announced Bollywood heart-throb Salman Khan as its brand ambassador. A first from Splash in terms of celebrity associations, the strategic announcement comes at the time when the brand is celebrating 20 years in love with fashion. The internationally acclaimed actor will be seen promoting the entire line-up of Splash clothing over the yearlong association, across various platforms of the brand and will be seen interacting with the wide audience that Splash caters to. Splash is well known for its trendy and fashionable collections with a broad appeal that caters to every need in a family, it is known for its innovative events and campaigns while Salman is known for creating everlasting fashion moments, he is an icon with mass appeal and is known for his Innovative acumen, thus making the two brands an instant fit. Talking about the association, Salman Khan, said, “Splash is an amazing high street retailer with a very vast reach in the Region. I am happy to be associated with Splash and we together look forward to a great journey.” Speaking about the recent association with Salman, Raza Beig, CEO, Splash said, “We are very excited to have star and style icon Salman Khan as the face of Splash in the Region. Our relationship with Salman dates back to when we launched Being Human as part of our brand portfolio which now gets stronger. Salman is a brand and his appeal spans through generations, classes and nationalities particularly with the Arabs in the Region where every personality of his is loved and revered by his fans.